It was October 2015 when I was eventually diagnosed with CFS/ME, also known as Chronic Fatigue Syndrome, Myalgic Encephalomyelitis (ME). It had taken almost 18 months to get that answer officially - but having a label didn’t immediately give me the relief I had hoped it would. It didn’t give me answers, or any real treatment or support that helped me. I’d been lucky, though; the journey to diagnosis had enabled me to find other people online going through the same things. It also offered opportunities to learn how to manage things for myself. It also showed me that, even at my worst, I was one of the lucky ones. I was never a severe case and, for that, I will always be grateful. I first started getting sick in May 2014. I thought it was IBS, or a stomach bug I couldn’t shift, or maybe some new food intolerance - something like that. But it didn’t let up, so I went to see my GP. I’d learnt from the 10 years it took me to be diagnosed with coeliac disease that pretending to be OK (when I wasn’t) was a really bad idea. And I’d also learnt not to let doctors palm me off. I was going through a really stressful time at work. There were big restructures underway and people were losing their jobs everywhere. That environment was seriously bad for my mental health. The doctors tried to tell me that maybe it was IBS brought on by the stress. That’s not unusual, after all. But, months later, nothing had changed. I was exhausted from lack of sleep - I was up half the night in the bathroom, most nights. Then I discovered the right probiotics for me and oregano oil capsules, which apparently work a bit like a natural antibiotic. Within a couple of weeks, my digestive health was sorted. Everything hurt all the time, I had constant headaches. Being in the office with all the background noise and bright lights wasn’t helping either. I was getting really confused by the simplest tasks and was going to bed pretty much as soon as I got in from work. My work was suffering, too. It all just felt too overwhelming. I got referred to a gastroenterologist to start with, but all my tests came back normal. So, they were happy it wasn’t any form of inflammatory bowel disease causing my problems. I was told it was IBS and that I should try to avoid stress - but that’s easier said than done. Then I had a positive blood test come back for antinuclear antibodies. There’s lupus in my family, so that was the next suspect and meant a referral to rheumatology this time. And more tests - all of which came back normal. By this time, everyone was talking about Chronic Fatigue Syndrome. I wasn’t well enough to work anymore - I struggled to even leave the house very much because my body was having none of it. When I did, I ended up feeling so much worse for days afterwards. Eventually, I saw the local CFS consultant, who was probably the least sympathetic of all the doctors I’ve seen. She didn’t do smiling or being friendly, which didn’t exactly put me at ease. She wouldn’t diagnose me at that point because we were waiting for me to have an MRI after the rheumatologist found some problems with my hips. But, once that came back as nothing rheumatology could support me with, I finally got my official letter. There’s so much advice out there, and just as much disagreement too. It felt impossible to know where to start. I was willing to try pretty much anything and decided I’d listen to all the advice, try things, and just see what worked for me. I felt terrible, felt sorry for myself sometimes, but I learnt that this horrible illness really can ruin people’s lives, and those people seem to be forgotten. I found the CFS/ME twitter community and some amazing, inspiring people with a wide variety of conditions. I learnt more from them than I did most of my doctors. I’ll always be grateful for those people and the support they gave me when I was at my worst. I was able to have hydrotherapy through my rheumatologist, and that was the treatment that enabled me to move my body again. I was meeting people in person who understood how I felt and were going through similar things to me. That was another big boost to my mental health, as it stopped me feeling so alone. My physiotherapist and the community I’d found online taught me about pacing; how to make sure I didn’t do anything on a good day, that I couldn’t do on a bad day. That helped me escape the clutches of the boom-and-bust cycle I’d found myself in. My energy levels started to stabilise and I was able to get into a proper night-time routine, which, in turn, led me to being awake for more hours in the day than I had been in a long time. I remember the feeling I had when I first managed to have a shower and wash my hair without having to sit down. Nobody seemed to get it unless they were part of that online community I’d found, but I was over the moon! I discovered mindfulness meditations, which quickly became a part of my daily routine. A time to stop and really rest, even just for 10 minutes. It feels like pressing reset on my brain and gave me permission to be quiet. Earplugs and an eye mask worked for all the times I needed to rest but couldn’t, because there was too much noise and light. I also discovered a book called Beat Fatigue with Yoga which gave me more gentle exercises I could do at home. It was a long road. I was off work for about a year, gradually building up the amount of time I could spend reading a book, doing some yoga, going for a walk or even just staying awake. Slowly I was able to do more and start thinking about going back to work. I had a couple of occupational health reviews, which didn’t go very well, but I was able to get some information from my doctors to share with my line manager - who was brilliant. She decided to ignore the advice from occupational health (thank goodness for “manager’s discretion!”) and we devised a return to work plan for me. It took several months of very, very slowly increasing the number of hours and the number of days I worked. I was also able to get a number of adjustments both to my role and the way I worked. Instead of going into an office each day, I now work from home with very few office visits. So, I no longer travel the length and breadth of England, as I had been. 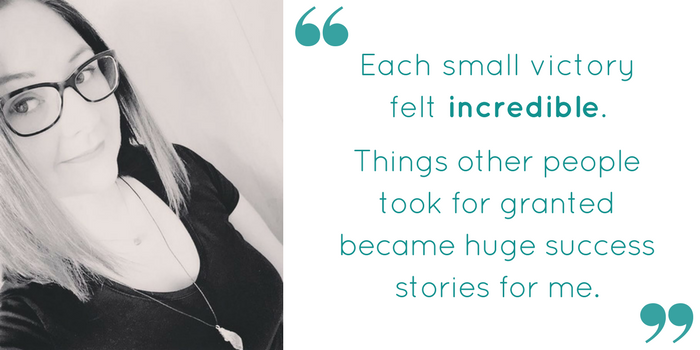 Flexible working enabled me to alter my start and finish times and take breaks as I needed, which made a big difference. Sometimes I still have a lunch break nap when I’m struggling. Rather than fight the fatigue, I listen to what my body needs me to do and accept it for what it is - a temporary increase in fatigue, that will eventually pass. Now I’m back working, I get to help other staff in the organisation get the support they need and raise awareness of the issues surrounding chronic fatigue. 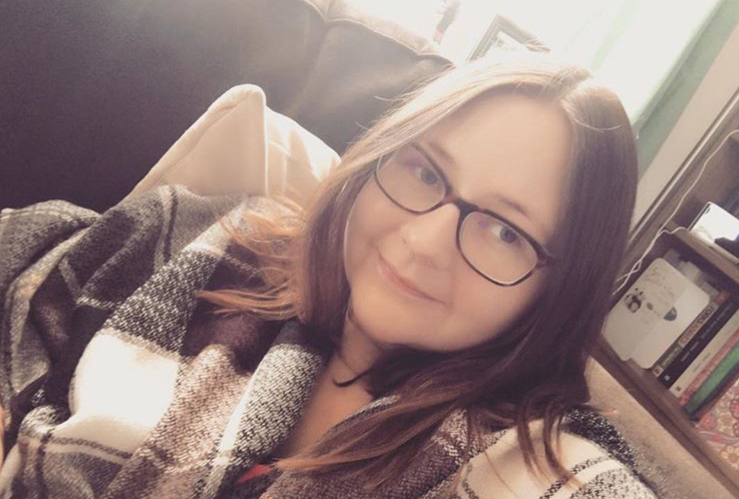 I lead an employee network which focuses on supporting people with fatigue related to a disability or long-term health condition - not everyone has CFS/ME, but we do all have similar experiences of fatigue. 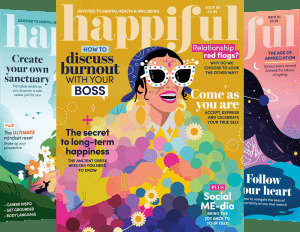 I provide coaching to people to help them explain their situation, to line managers to enable them to provide support for their staff, and a monthly online gathering to share stories and ask advice of one another. We’ve become an amazing support group for people who really need it. Helping others has been another way I’ve been able to improve my health. By sharing the things I’ve learnt along the way, I’m able to help others and help myself. I might not ever get back to the person I was before getting sick, but that’s OK. This experience has taught me so much about myself and about what really matters; my whole outlook on life has changed. And strange as it might seem, I think it’s changed for the better. I wish I’d known at the start that life would turn out OK in the end! 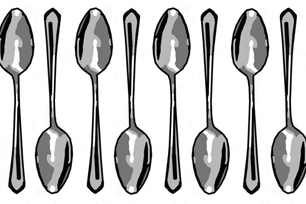 What is the spoon theory?